I just sent a check to my client and friend Darrel for $5,000.00 in med pay benefits. I fought against an unscrupulous lawyer for a year to get this check to Darrel without charging a fee on it. I litigated it, had a hearing in front of a judge in St. Louis County, and then arbitrated this matter without charging Darrel. I did this because my firm and I believe that if a lawyer doesn’t fight for a recovery they ought not to charge the client. Almost all auto insurance policies have a medical payment or med pay benefit which pays for medical expenses you incur. This is automatic and it is often paid by insurance companies directly to injured people or their medical providers. Most of the time lawyers do not need to fight to get those benefits. When they don’t they should not take a fee. It is unethical to do so. Our firm regularly collects med pay recoveries for our clients and does not charge anything. If you need a little bit of help to get a med pay payment, I am happy to do it for free. 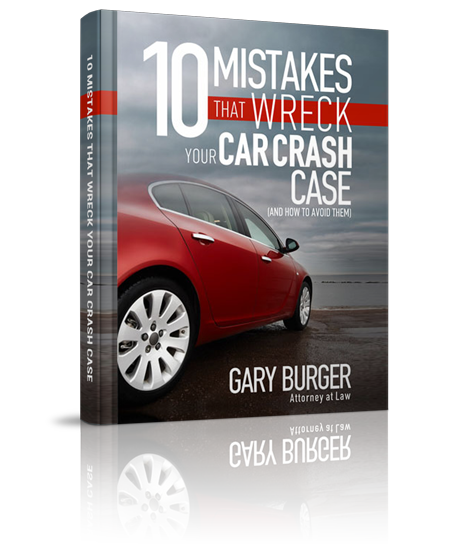 At Burger Law, we only charge for a recovery that we have to fight for. It is true that sometimes we do have to fight for med pay. We have filed suit and litigated over med pay money because we think it is important that clients get the benefits of their insurance policy for which they pay premiums. A fee in this situation is justified. If you have any questions about med pay benefits, auto accident claims, or any other insurance questions, call us at (314) 542-9999.